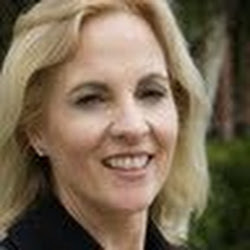 Caroline Gerardo International Thriller Writer’s Member, published Author and Poet lives in Southern California and Wyoming. She has written three novels: Toxic Assets and The Lucky Boy are the most recent. I enjoy writing for the creative outlet. There are a million stories ready for me to complete, it takes a year or two to finish a novel. I have published short fiction and poetry in magazines with images that I photographed or painted. I’m interested in examining my world and sharing my time. The view from my eyes might be inspiring, and a bit dark. I am a planner. I begin with an idea. Perhaps it’s a message I want to convey. I build a whiteboard with photographs I have taken, clips from news, flash fiction and haiku. Then I write an outline. I write on my kitchen table early in the morning and at night seven days a week. When writing long form novel the first draft may not be that similar to the final revision. Characters have a way of taking over the narrative. The writer’s mind may be in control but the people we build have the courage to direct the story on their own. I have self published and small press published. My work is transgressional, sometimes dark a bit horror, thriller and quirky. I still love a hardback. I would love to pay to have my next book printed with a leather bound cover and heavy stock – maybe only a small run. And at the same time I know that ereading is here now. One thing I don’t like about epublishing is that I have been pirated and it is easy to steal.